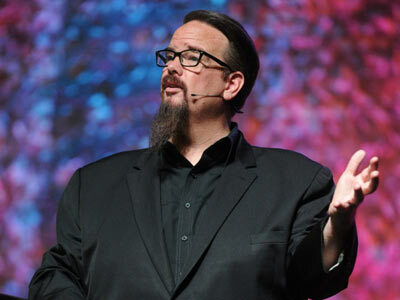 Pulpit & Pen weigh in on Stetzer’s Chrislam agenda. Chislam: A false movement that reconciles Christianity with Islam, that both worship and serve the same God. Last month, Ed Stetzer spoke at an interfaith gathering with Islamic extremists, including known aiders and abetters of international terrorism. Stetzer provided Southern Baptist-owned Lifeway data to assist the Muslims in “learning how to relate” to evangelicals and how to “build bridges” with other faiths. Speaking with Stetzer at the ironically-themed “Spreading Peace Convocation” was Obama’s spiritual advisor, Joel Hunter, radical sheik Hamsa Yusef, cop-killer supporting Muslim and friend of Anwar Awlaki, Suhaib Webb. Stetzer was paid to hand over the Southern Baptist intellectual property to the Islamic extremists by Islamic globalist organization funded by the Bill and Melinda Gates Foundation, the International Interfaith Peace Corps and the syncretistic Chrislam organization, Glocal. If you’re still busy picking your jaw up off the floor, being apprised of a Southern Baptist employee and prominent evangelical handing over the goods to assist radical Islamic extremists and at least one known associate of dangerous terrorists, you can click here to read all the information yourself. Islamic extremists, some with automatic rifles and some with other improvised devices attacked sites throughout Paris. The world is outraged and mourning. The French president, Francois Hollande, called the attacks an “act of war” and promised no pity to the perpetrators. Then, the French government responded in a way uncharacteristic of the French stereotype all-too-common in many minds – they bombed the living daylights out of ISIS targets. In airstrikes billed as “massive,” France bombed the Islamic State’s capitol, a jihadi training camp and munitions dumps. Montjoie Saint Denis!, as they say. And good for them. A few lessons ought to be learned, including that maybe we (that is, the free world) should be bombing Islamic militants before they strike. And, there’s probably something to say about immigration policy, which surely would upset pro-open borders and unlimited immigration, Russell Moore. But how did Ed Stetzer respond? 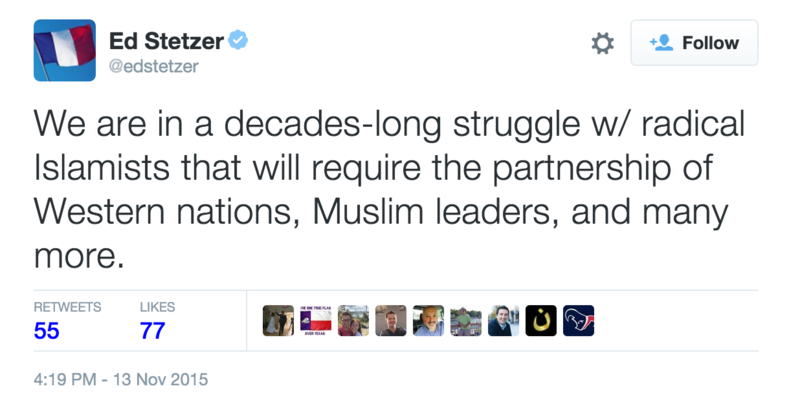 One wonders exactly what kind of “partnership” Stetzer wants with Muslim leaders. Will it be with those like Suhaib Webb, with whom he partnered last month at the Spreading Peace Convocation, who raised funds for cop-killer, Jamil Al Amin, along with terrorist, Anwar Awlaki? Nevermind the fact that calling this a “decade’s long struggle with radical Islamists” is off by centuries, this demonstrates an incredible naivety on the part of Stetzer and the evangelical intelligentsia, and also displays Stetzer’s trajectory toward syncretistic interfaith partnership. Can you trust that Stetzer won’t take Lifeway and whatever portion of evangelicalism he represents into Chrislam? You may laugh at the notion, but I’ll remind you, he’s already been paid by them. He has already been on their payroll…literally. Be on guard. There’s more than just his awkward chin hair to make one think he’s going full Islam.